Suh has been super in his first five years in Detroit, living up to his pedigree as the No. 2 overall draft pick in 2010. Of course, he also has earned a reputation as one of the NFL’s dirtiest players. His rookie deal voided Friday, and it seems as though he is headed out of Detroit — with West Coast teams apparently high on his list. Schneider and Carroll typically think they can make just about anyone fit in their locker room — they have been right a number of times and wrong a few, too — so they surely will check into Suh if he does in fact reach free agency. 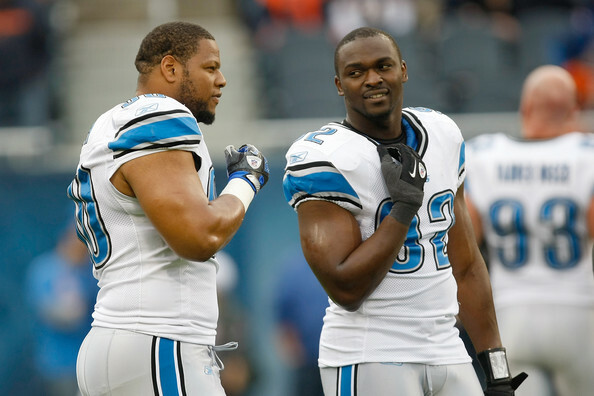 Cliff Avril played with Suh in Detroit, so they have a firsthand character reference. Maybe being closer to home and on a winning team with great players around him would chill out Suh. The Hawks already took a similar risk with Percy Harvin in 2013 — we all know how that turned out. Suh would be almost the same gamble — with the Hawks hoping on-field greatness trumped character risk. Unlike the Harvin deal, though, the Hawks would not need to give up any draft picks — just lots of money: Suh is expected to try to at least match defensive player of the year J.J. Watt’s $100 million deal with Houston. The question is whether Suh would be willing to take a slight discount to come back home and play for the team that figures to be the Super Bowl favorite for the next three years. The Seahawks certainly could make room for Suh if they felt he was worth the risk — as long as he didn’t want to break (or, worse, blow up) the bank. They could create cap space with extensions for Marshawn Lynch (if he wants to return) and Russell Okung (if the team wants him beyond 2015). And they still could afford extensions for Russell Wilson ($20 million a year), Bobby Wagner ($9 million) and even J.R. Sweezy ($5 million), plus a new deal for Byron Maxwell ($6 million). They also could keep key role players such as James Carpenter ($3 million) and Jermaine Kearse ($2 million restricted tender). And they still would have a few million left to perhaps re-sign a few backups to veteran-minimum deals. If they made all of those moves, they basically would have their team set for the next two years — not counting the rookies they bring in (already covered in this scenario). They would be tight up against the 2016 salary cap (as little as $1 million left), but they could fix that with a simple restructure of Richard Sherman’s contract (bumping the cap space to $8 million). With all of the above moves done, their only key free agents in 2016 would be Jon Ryan, Bruce Irvin, Jeremy Lane and Robert Turbin. They would let Irvin go and re-sign Ryan and possibly Lane and Turbin. Of course, it would be just as tight in 2017, with about $12 million for 30 roster spots. Minimum salaries for all of those 30 would add up to around $15 million, so the team would have to go hunting for more space again — they could pull about $5 million from Sherman. The Hawks also would need to draft very well the next three years and get great value out of those 25-plus picks. Of course, if Lynch retired, the team would net $7 million in 2015 and a bunch of money over the following two years ($18 million in our scenario), which would make it a lot easier. The Hawks then would just need to draft a running back this year. Or the Hawks could let Maxwell go, which seems likely anyway, and draft a cornerback, which they always do anyway. That would make all of the aforementioned moves easier, too. So, there are various ways they could fit Suh onto the roster without losing any key players they want to keep. A D-line of Avril, Suh, Michael Bennett and Brandon Mebane would be a terror for offenses. But would the Seahawks think Suh is worth the risk? And would they want to pay him twice what they are paying Avril and Bennett? While it is certainly possible, as we have detailed, it seems unlikely the Hawks would want to go out on a big financial limb for Suh and risk breaking other branches in their salary cap tree.